Thomas and friends Motorised All Around Sodor Playset. As a really useful engine, Thomas likes to stay busy and since the Island of Sodor is such a big, bustling place, there are always things to do. Your little engineer can be a part of Thomas? very busy day with all around Sodor. This interactive train set features three destinations for Thomas, each with an activity or friend. Not to mention, your child can choose the destination. With over 50 sounds and phrases, all around Sodor offers hours of engaging entertainment. 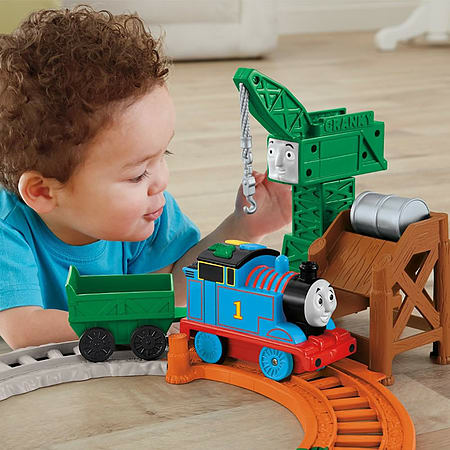 Just like a real engineer - thanks to easy-to-use controls, your child will feel like a real engineer as they choose Thomas? next destination. Just press the button on Thomas? roof to pick a corresponding destination ? Brendam Docks, Tidmouth Sheds or simply press the Start/Stop button and Thomas will ride around the track without stopping, interacting with his friends as he passes by. Stimulating Activities - at Brendam Docks, Thomas can load and unload cargo with Cranky the Crane. At Tidmouth Sheds, he can talk with Percy, James, Gordon and Sir Topham Hat. Thomas can even roll across the Shake Shake Bridge. And if your child wants to move away from the track, Thomas can function on his own. 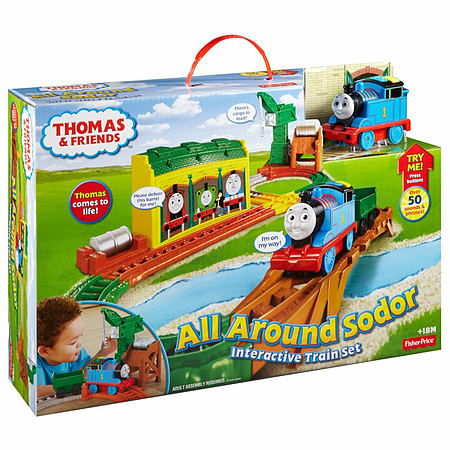 All around Sodor brings the Island to life with familiar characters, friendly voices, and activities. The benefits of play promotes the development of children?s fine motor skills as they handle and manipulate Thomas and his cargo. 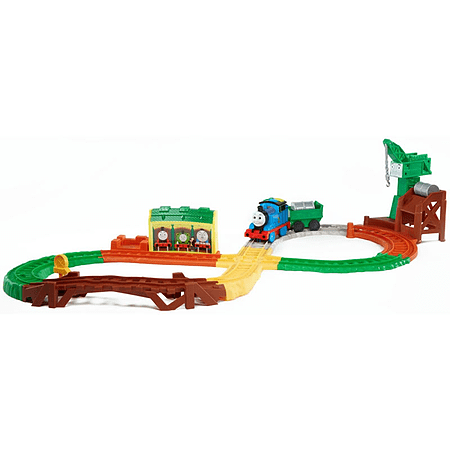 In addition, the set encourages curiosity, imagination and creativity as little engineers choose Thomas? destination and participate in his activities. They?ll even refine cognitive skills as they learn which button on Thomas? roof corresponds with each destination. Whether he?s loading and unloading cargo at Brendam Docks, talking with the other engines at Tidmouth Sheds or just traveling around Sodor, Thomas loves to keep busy. As your little engineers take part in Thomas? fun and eventful day, they?ll feel like they?ve been transported to the Island of Sodor.